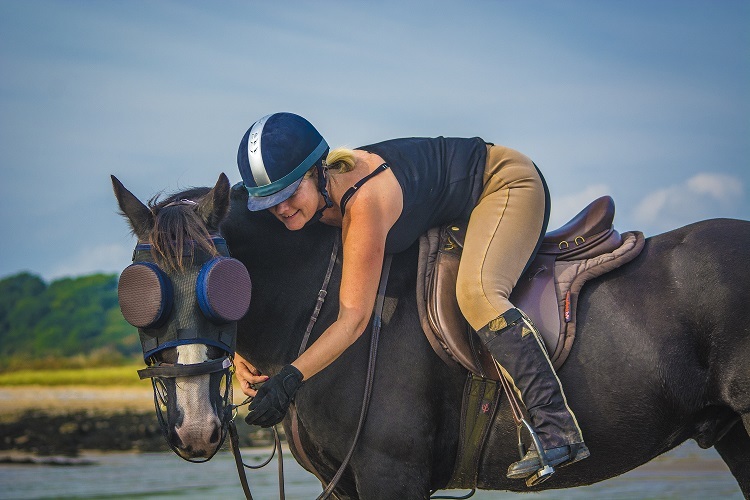 As the Guardian Horse Mask stops the sun from damaging your horse's eyes, it helps to prevent your horse from developing serious eye conditions. If your horse is already suffering from an eye condition, wearing the Guardian Horse Mask during daylight hours, can give the condition a chance to heal. The Guardian Horse Mask can be worn 24/7, including whilst being ridden. It fits under most standard bridles & headcollars.